Anyone seen this concept art of Garrett before? I have seen it before. I saw it in the fan art section on the circle. Mmm, yeah, I thought it was fan art =). Though I agree whole-heartedly on LGS never really wanting Garrett's face to be seen fully. Though I agree whole-heartedly on LGS never really wanting Garrett's face to be seen fully. Ahhh. So Im done with thief. time to move on. Nice. Looks like TDS-Garrett finally got around to replace that lens he dropped in blue ink. You're my god now. Really. I just added your artwork to my favs on devart :] Have to see the rest of your pics. I'm off to your gallery now. I need to see more of your Garrett. Ermmm..... Why are you laughing??? Maybe because he's a baby Jesus? I dunno. Anyway, are all you dev.art people like that? With the emoticons and drink–sipping, I mean? 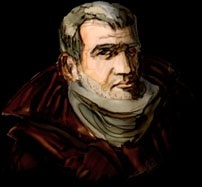 Well, I hope I'm not flogging a dead thread here, since the last time anyone replied was five months ago... still, I made Thief art and I want to pimp it, dammit. I really love all the art that's been put up here so far. I've been a huge fan of Thief since the first game came out years ago, but it never occurred to me to look for an online fan base until a couple of weeks ago. I have no idea why I didn't look sooner, because this is one very cool and dedicated fandom! Last edited by Chez-Moi; 20th Aug 2006 at 16:17. That is some lovely art, Chez-Moi. It's not super-magical awesome, I know. There's better sketches in the fan section of a Rob Liefeld comic . There is some really wonderful art in this thread. Chez-Moi, looking very good indeed . In fangirl land, no-one can hear you scream, Clockwork. Unless it's Lister, perhaps...? -Amy, the one who toyed with her sexuality and accidentally dropped it in the pisser, and fished it out with Megan's eyebrow pluckers. Err...yes it's Zaya. I've wanted to draw her for a while but never got around to it. It's not special or anything but I liked the way it came out. I really love how her hair looks. So, this is around the introduction of T2X. Clockwork Mifune: your Zaya pictures are great! Well, I thought I saw resemblance. Heh, nice Zayas there Mifune and Ankara. Last edited by oDDity; 25th Aug 2005 at 04:34.